Use LinkyCat on multiple computers, provided he will only use it on one of them at any given time, for any legal purpose. 100% SATISFACTION GUARANTEE: We will refund your purchase if you are dissatisfied with LinkyCat for any reason within 30 days of the purchase. 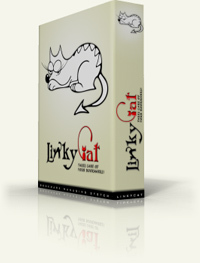 LinkyCat is available today for only 19.95 USD! Note! You can get LinkyCat for free! To do it, you can write an article about using the program or translate it into your native language if this language is not in the language list on the download page. Please, contact us through support form.